A new puppy or dog may seem like the perfect gift. Unconditional love is one of life's most beautiful gift !! A new puppy or dog may seem like the perfect gift! Honor a pet or loved one with a tribute gift to Animal Friends! 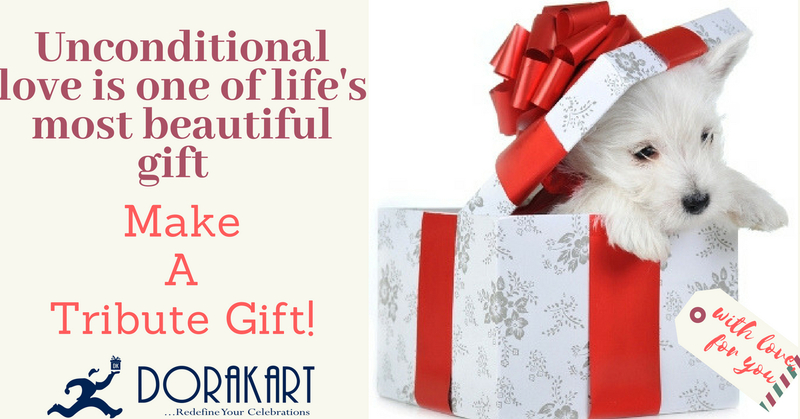 Tribute gifts are the perfect gift for family, friends, bosses, co-workers, neighbors, colleagues or any animal lover on your list. Give a gift that will mean so much to an animal in need. Unfortunately, there are many reasons why you shouldn’t give a dog as a gift. Dogs require significant time and financial commitments. By giving a dog as a gift, you are assuming that the recipient lives a lifestyle that would allow them to care for the dog – and that they will continue living that lifestyle for the next ten or more years. Additionally, when you give a dog to a person, that person won’t have a chance to pick out the dog themselves. You don’t know that a dog’s character and temperament will be suitable for the person you’re giving it to. You’re not out of luck, though. Instead of giving someone an actual dog for Christmas, there are plenty of dog-themed gifts that you can give them instead. One of your best bets may be to give a family the supplies that they will need for a dog. If you know the family is planning to get a dog, then put together a dog care package. Include a fashionable leash and collar, some toys, a dog bed, water and food dishes, and even a gift certificate to a local pet supply store. Gift certificates for other purposes are also excellent gifts. Consider giving a gift certificate for dog grooming. Pet sitting and boarding gift certificates are a great choice, and will certainly go to good use. You might also consider giving a gift certificate for dog training classes. Training can help to develop and strengthen a person’s relationship with a new dog, so training classes might be just the perfect gift. 1. The pricing may vary depending on location. 2. Order has to be done before 4 days.